Posted on: October 25th, 2017	by Melanie C.
.In full disclosure this is a sponsored post. We appreciate Morton Salt Water Softener’s support of Jersey Family Fun and our efforts to help our readers improve their homes. As always, all opinions are our own. We also participate in Amazon affiliate programs. We’ve included links to Morton Water Softener Salts and kits to test your water hardness to make shopping for these home maintenance options easier. If you use these links to make a purchase we do earn a small commission. 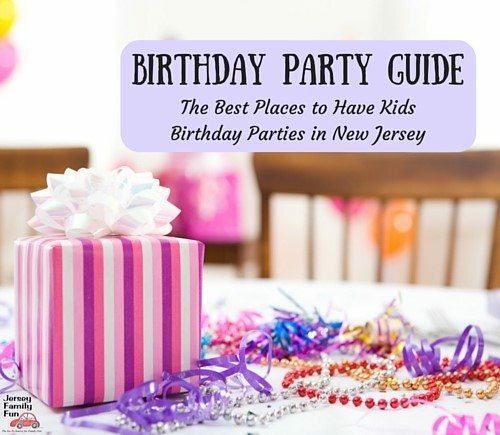 This summer, my family made a big move from Union County to Monmouth County. It was a long process from listing with a realtor to moving ourselves from home to home. Our two children, ages 7 and 12 were involved in it all, sometimes willingly. But as our childcare is limited, they were in it whether they wanted to or not! 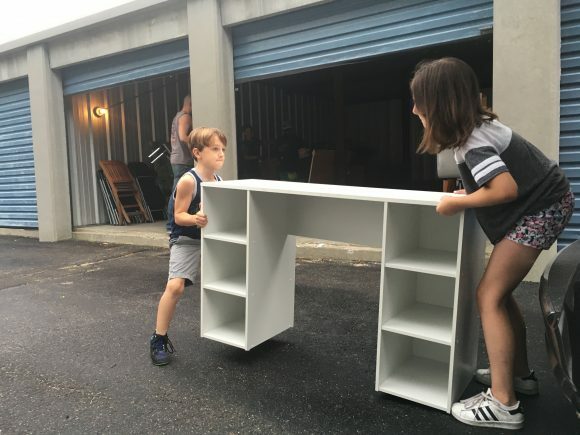 They were exposed to home inspections, lawyers’ offices, about 40+ hours of trips to and from the storage unit and the inevitable endless shopping trips to the home improvement stores both pre and post move. My kids were excited about the change; my 12-year-old daughter couldn’t wait to pick out colors for the rooms and had opinions on furniture and fixtures. My son was ready for a soccer net and a basketball hoop. As anyone who moves into a new house knows, there’s a lot to learn! What plants are outside and what blooms when? What does this light switch control? What days do we put out the trash? There’s also a lot to fix. From faucets that drip to rusted radiator covers to windows that were painted shut we had to address it all – before the fun stuff started. Now it would be easy to tell the kids to play outside while we worked, but that would be missing the learning opportunity, right? This move was a family decision and making this house a home is an all-in project. Sure, dad knows how to do most home repairs, and mom can take care of the weeding and unpacking but kids can – and should – help too. Older kids should know where the water shut offs and the electrical panels are (even if they can’t operate them), and can be in charge of putting out the trash and of course cleaning both in and outside. Younger kids can do some of these chores as well. Having pride in your home is important, and being involved in home maintenance can inspire that. Learning facts about hard and soft water at the Home Depot Morton Salt event. I’ve heard about hard/soft water for years from my grandmother who has had a water softener in her home for 50 years. She can’t live without it! And she’s smart, because having hard water can cause damage to your home. How so? How can hard water can cause damage to your home? When groundwater travels through limestone, it acquires a high mineral content. Lots of minerals mean hard water in your home and hard water means you’ll need more soap, shampoo, and laundry detergent to get a lather. You may see more soap scum and deposits on your faucets and sinks, and your appliances may break down sooner than anticipated. 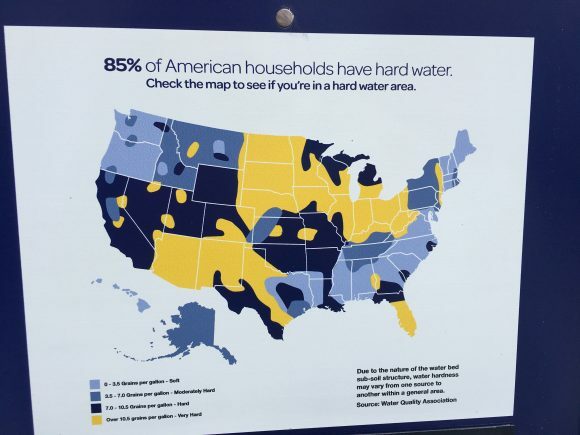 If this sounds like you, you’re not alone; 85% of homes have hard water. While we want our children to know how to maintain the home, being proactive is important too. Better to protect your appliances than have costly maintenance and replacement issues. 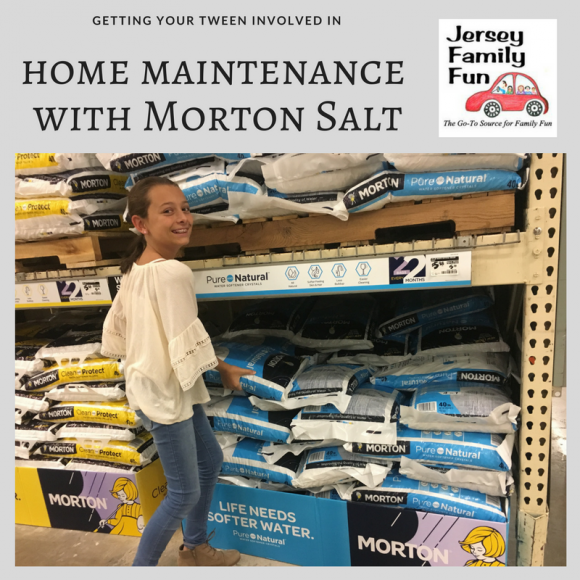 When Morton Salt invited Jersey Family Fun to learn more about softening the water in your home, I thought it would be a perfect opportunity to include my tween and learn together. We definitely agreed that having tangled hair and dry skin is enough to want a water softener, but we also knew that the build up of minerals in our appliances was the more responsible reason to consider a water softener. And yes, Morton Salt, the brand you know with the girl and umbrella that you may see daily in your spice cabinet, can help you soften the water in your home. Morton offers three kinds of water softener salt as well as crystals to add to your home’s water softener appliance. We recently visited Home Depot where HGTV’s The Cousins hosted a fun event to let consumers know the benefits of softening your water. If you know The Cousins, you know they are New Jersey guys, and they definitely know about home maintenance. 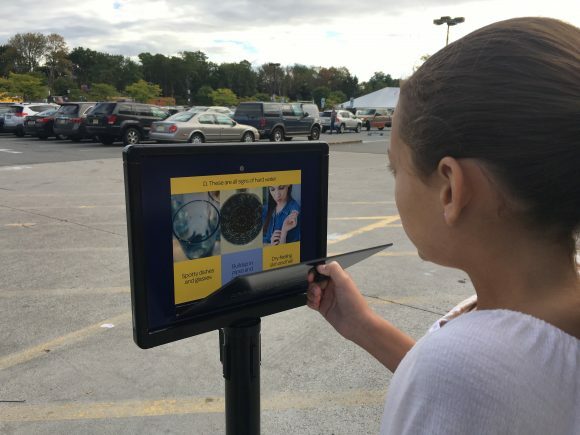 My daughter and I listened to how a Morton Salt water softener would work with the plumbing system and what the maintenance on the system would require. Could she lift two 25 pound bags every two months to keep the softener going? Maybe not yet, but being in charge of knowing when it’s time to fill the softener is something she can certainly handle. Armed with our new knowledge we headed home ready to tell dad and brother what we learned, and to have a family discussion about what our home needs (other than new paint!). Not to worry, our daughter did get to help pick out the paint colors, and our son plays soccer in the yard daily. But now they know that we have to do some of the less fun tasks to keep our new house running smoothly before they get to the rewards. With a water softener and Morton Water Softener Salt protecting our pipes and appliances, those rewards can come quicker! 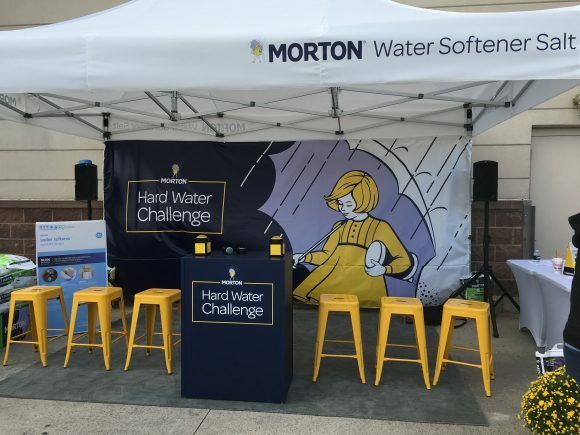 Learn more about Morton Salt water softener by visiting their site at www.mortonsalt.com/home-category/water-softening. You can also purchase Morton Salt Water Softener on Amazon with our affiliate links. Amazon also offers a few choices for kits to test your water for hard water. For more home improvement stories visit our stories about Jenn’s playroom remodeling process.